Premier Executive Trailers carries large storage containers right to your door. Our service gives you the freedom to pack up the storage container at your own pace. We understand that everyone’s storage needs are unique and we make the process a simple as possible. We simplify your life, so you don’t have too. You have a busy life and important things to worry about. Let us make your next move or building project simple. 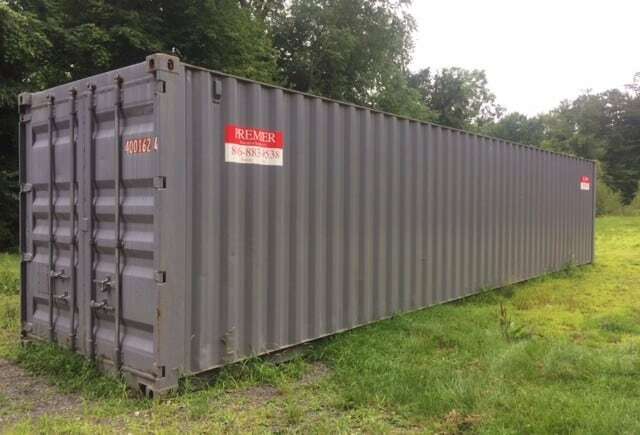 Give us a call and tell us what size container you need for your project. We will deliver the box to you when you need it. You pay monthly. We pick it up when you no longer need it. It doesn’t get much easier than that. Our Portable Storage units come in three large sizes designed to hold everything from the contents of a small office to a large home and they even provide great storage at construction sites. You no longer need to worry about paying for a rental truck or extra gas to store your belongings at a storage facility. We drop off and deliver the unit directly to your home, business or construction site. In the past, you would have to pack your car or truck and drive it to the local storage facility. After several trips back and forth to your home or business to unload your belongings, people are exhausted and frustrated. There is a better way. Premier Executive Trailers drop our storage units off right at your doorstep for easy loading and unloading at your own pace. Customers also love the convenience of having their items accessible whenever they need them. Premier Executive Trailers offers great value in portable storage units and exceptional customer service in the tri-state area. You can expect prompt service from trained professionals who value the customer experience. Our clean, well-built portable storage units are handled with care and delivered when and where you need them. We strive to be the best value in the mobile storage business.